Welcome to Biosis your one-stop provider of quality healthcare services. The information provided below is a brief breakdown of the services we provide here at the clinic. The reason we take such care and dedicate such a large amount of time to you is that we recognize that just asking a person where it hurts and prescribing a quick fix to suppress that symptom is no longer a valid form of health care. At Biosis we provide complete wellness packages for the whole family that are intended to not only restore your health but also to prevent disease before it happens. Never before has there been a greater need for disease prevention than our current times and we here at Biosis recognize the importance of not only utilizing natural remedies to improve your health but also reduce or even eliminate your medications and many times avoid the need for dangerous medical procedures. Cellular detoxification is a critical ongoing process for achieving and maintaining health in the human body. It involves the elimination of substances which are poisonous and for which the body has no further constructive use and therefore must be eliminated in order to prevent dysfunction and sickness in the body. All healthy cells automatically detoxify themselves everyday however, these detoxification mechanisms are overwhelmed by an increasingly toxic world which we live in and are nutrient dependent and require specific vitamins, minerals and amino acids in order to execute their function properly. Supporting our elimination organs including the liver, lungs, kidneys and bowels are important because we live in an ever-growing toxic environment that lacks the clean air, water and food we once enjoyed. For these reasons, periodic detoxification of the body is necessary for the removal of wastes and toxins to attain and maintain optimal health and prevent diseases, including cancers. In addition to toxins present in our food air and water, most people are surprised to find out that prescription medications also add a significant toxic burden on us and the more medications a person takes , the greater the chance of significant adverse effects from those drugs. The side effects of these medications are especially important for older people because they are more sensitive to the adverse effects of these drugs and whenever possible our treatments and therapies can help safely reduce or even eliminate the need for medications. Good cardiovascular health is more than just the symptom of elevations in blood pressure, we look for the cause as to why you’re blood pressure is elevated, and help reduce or eliminate blood pressure medications that may be treating the symptom but don’t treat the cause. 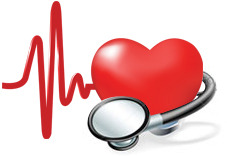 We also analyze other cardiovascular indicators including cholesterol, triglycerides, Lp(a), homocysteine and other markers when developing a cardiovascular health protocol which is custom tailored to the persons needs whether it be atherosclerosis, hypertension, congestive heart failure, angina and so on. Diabetes is becoming an epidemic especially in the western world. Millions of individuals are needlessly affected by this condition and whose complications may include blindness, kidney failure, hypertension and others which are often avoidable once blood sugar levels are returned back to normal. 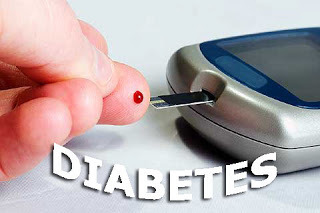 At Biosis we have had great success in treating both Type I and Type II Diabetes with the right natural therapies intended to improve pancreatic and insulin production and increase cell membrane receptor sensitivity resulting in a reduction in blood sugars and thus a reduction in blood sugar medications and insulin needs. Every year millions of people are diagnosed with this serious condition which is not a disease as much as it is a symptom that the body is no longer able to regulate cellular homeostasis. Cancer is often caused by the combination of nutrient deficiencies and the limit of toxicity that the body can tolerate results in mutagenic changes to our DNA, abnormal cell replication and thus cancer. In addition to your medical treatment, proper diet and specific food choices along with the elimination of cancer-causing materials from our external world, as well as; our internal organs is critical to the successful treatment of all types of cancer. We employ a combination of the latest clinically validated treatments involving detoxification, proper nutrition and supplementation along with the most effective natural therapies available to bring about relief to our cancer patients. We have even succeeded in bringing about remission of the disease in certain patients who are now leading happy lives under our advice and supervision. If you or someone you know is suffering from cancer, contact us to find out about the many alternative treatments currently available. At biosis, we provide a variety of choices that are perfect for the whole family regardless of their health needs. The following is a breakdown of our most popular comprehensive health care packages. If you have specific needs, feel free to contact us and we would be happy to work with your requests. This package is intended for new clients without medical conditions or medications who would like expert advice on possible options for supplements suited to your particular biochemical and nutritional requirements. This package is ideal for those individuals who would like to meet the practitioner to discuss their options and wish to take a more natural preventative approach to healthcare. * This package is not suitable for individuals who have any medical conditions, disease diagnosis, or are taking prescription medications. 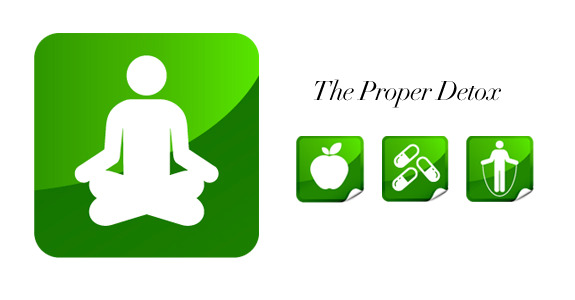 In these instances, a full assessment (package C or D) is required before any supplemental therapies can be undertaken. For more information on this package or if you have any questions or concerns please contact us and we would be happy to discuss your condition and send you out additional information including what to expect and our current fee schedules. 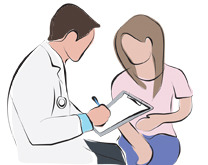 This package is intended for new clients who would like a brief visit to meet the practitioner, review and discuss possible options for their particular condition. This package is ideal for those individuals who would prefer to meet the practitioner to discuss their options and wish to take a more natural approach to healthcare. 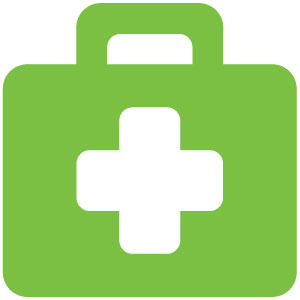 This package is intended for those individuals who have an existing medical conditions (i.e. Hypertension, Diabetes, Arthritis, etc) and may or may not be taking medications. In such cases we require additional research and time to develop a protocol which is optimal to restore your health and therefore a second visit is needed to review the program in detail. This package is intended for individuals with serious degenerative conditions (Cancer etc.) which will require extensive research and support. In such cases we require significantly more time to develop a protocol which is optimal to restore health and/or to support your current health condition. In such serious conditions it is always necessary to have up to a 1.5 hour second visit to thoroughly review your program in detail. This package is intended for new clients without medical conditions or medications who would like to obtain expert advice on possible options for natural supplements best suited to your particular biochemical and nutritional requirements to prevent disease. This package is ideal for those individuals who would like general advice on which vitamins and natural remedies are right for them and wish to take a more natural preventative approach to healthcare. * This package is not suitable for individuals who have any medical conditions, disease diagnosis, or are taking prescription medications or need a personal consult with the practitioner. In these instances, a full assessment (package C or D) is required before any therapeutic supplemental therapies can be undertaken. * Please note payment is required at the time of booking. All fees are subject to HST. We accept cash, visa, mastercard, debit & cheques as methods of payment. None of the fees outlined are currently covered by OHIP. They are covered by many extended health care plans. 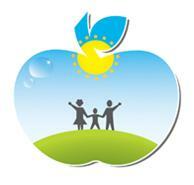 We encourage you to contact your insurance company to inquire about coverage for nutritional consultations. Due to time constraints, we require a non-refundable 20 % deposit fee. In the event of a cancellation, please contact us no less than 48 hours prior to your appointment to rebook or the applicable fee will be forfeited.